Accessing your super and continuing to work can be like having your cake and eating it too – here’s a guide to how it works and the rules that can apply from age 60. Generally speaking, one of the main conditions of release for superannuation is reaching your preservation age and retiring from the workforce, or having at least begun the process of transitioning to retirement. However, once you turn 60, you may be able to access your preserved super benefit and continue to be gainfully employed. According to the super rules outlined on the ATO website, ‘gainfully employed‘ means that you’re employed or self-employed for gain or reward in any business, trade, profession, vocation, calling, occupation or employment. You do need to receive some form of payment (for example, not just a reimbursement for voluntary work) but the amount of the payment, the level of effort involved and whether it results in a profit or loss is irrelevant. 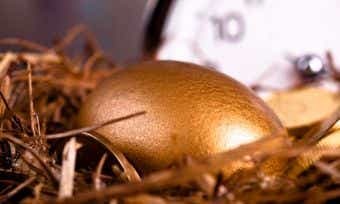 What are the superannuation rules once I turn 60? To be able to access your superannuation once you’ve turned 60, you need to ‘retire’ – but the definition of ‘retirement’ is a bit different compared to the rules for people under 60. Retirement at or after age 60 simply requires you to end an arrangement under which you’re gainfully employed. What does that mean? Well, if you have more than one job, it means you may be able to resign from one of them and keep working in the other job(s). 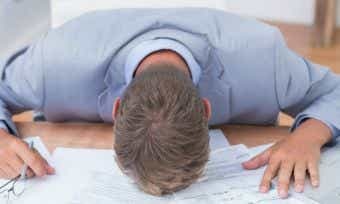 Ending one employment arrangement might mean you meet the condition of release for your super. If you have only one job, you can typically cease your current employment arrangement and begin another one if you want to, with no minimum time in between. The new employment arrangement could be casual, part-time, or full-time, it just needs to be a new and distinct employment arrangement. You generally won’t meet the retirement definition if you have a job and change from full-time to part-time employment; that’s a change to the nature of the arrangement, but not ending the arrangement itself. If you aren’t working when you turn 60, you may still meet the ‘retirement’ criteria if the super fund trustee is ‘reasonably satisfied’ that you intend never to again become gainfully employed, either on a full-time or a part-time basis. Meeting the retirement condition of release means that your superannuation savings up to this point will become ‘unrestricted non-preserved‘. This means you can withdraw some or all of your savings as an income or lump sum, but you don’t have to. You can leave it in your superannuation funds, continuing to grow, for as long as you want. If you keep working, keep in mind any super benefit you accrue from this point from a new (or continuing) employment arrangement will likely be treated as a restricted preserved benefit, and can’t be accessed until you satisfy another condition of release specific to that benefit. Whether you access your superannuation sooner or later, it’s important that you’re with a fund who can make the most of your savings. You can compare funds with Canstar to find the best value fund for you. The following table contains details of the superannuation funds rated by Canstar based on someone aged over 60. This table has been sorted by annual cost (lowest to highest) based on a balance of more than $250,000. What if you reach age 60 and you don’t meet the ‘retirement’ definition, or decide to leave your money in super? It’s good to know that turning 65 is in itself a condition of release, independent of any requirement to change your work situation. 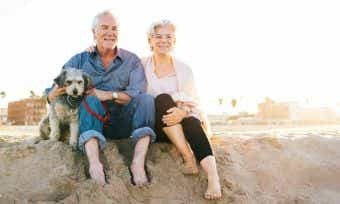 Whether you want to access your super in the form of a lump sum withdrawal or as pension income payments, you can do so whenever you like after reaching the age of 65. Generally speaking, the ATO advises both lump sum and income stream withdrawals from superannuation are usually tax-free once you turn 60, but it does depend on the nature of your super fund. For that reason, it’s important that you seek advice on how your super withdrawals may be taxed, especially if you decide to access your super while still working. For more information click here. Whether you’re close to the point at which you can access your super or just starting to make contributions to your eventual retirement benefit, it is a good idea to engage with your super early. You can compare super funds with Canstar.